The Sierra Club and other anti-coal groups filed THREE lawsuits against USEPA on January 7, 2015 in federal courts in Kentucky and West Virginia. Two of the actions, one in each state, allege that EPA has not acted on petitions submitted by the Plaintiffs several years ago to withdraw EPA approval of the State NPDES programs. See Kentuckians for the Commonwealth v. McCarthy, No. 3:15-cv-00004 (E.D. Ky.) & Ohio Valley Environmental Coalition, et al. v. McCarthy, et al., No. 3:15-cv-000277 (S.D. W.Va.). Those complaints allege that the deficiencies identified in the underlying petitions continue unabated and seek orders requiring EPA to make written determinations in response to the withdrawal petitions. The third lawsuit (see OVEC v. McCarthy, No. 3:15-cv-00271 (S.D. W.Va.), filed in the U.S. District Court for the Southern District of West Virginia, challenges EPA’s approval of Total Maximum Daily Loads (“TMDLs”) in six watersheds: Upper Ohio South; Dunkard Creek; Lower Kanawha River; Elk River; Monongahela River and the West Fork River. The goal of this suit largely is to force the imposition of effluent limits for “conductivity” on discharges from coal mines throughout the State, a result that would add an enormous financial burden to an already stressed industry. TMDLs are a sort of “pollution diet” established where a State has determined that a stream is not supporting designated uses and has identified the pollutant responsible. The “diet” establishes the allowable loading for identified pollutants. State NPDES permitting officials are then to use those “loads” in establishing NPDES permit limits. Here, the Sierra Club claims that WVDEP’s TMDLs for the six watersheds failed to include “loads” for conductivity, even though WVDEP purportedly found that streams were “biologically impaired,” in part due to “ionic toxicity”(dissolved ions are frequently measured by reference to specific conductance, aka conductivity, or total dissolved solids). In each case, WVDEP determined that it lacked sufficient information about the precise ions causing the impaired conditions and the thresholds at which they had such effects. The Sierra Club alleges that USEPA improperly approved TMDLs that declined to impose limits on either conductivity or particular ions in these six watersheds. But the complaint goes further and seeks relief with respect to streams outside these six watersheds. In fact, as discussed below, it seeks relief with respect to over 500 streams. The Sierra Club attached two lists to its complaint: Appendix A is a list of 179 streams from across the State for which WVDEP has allegedly identified “ionic toxicity” as a cause of biological impairment. Appendix B is purportedly a list of 387 “other” streams which have been identified as “biologically impaired” by WVDEP, but there is no mention in the complaint whether WVDEP has identified a particular pollutant as the cause of the impairment (a necessary prerequisite to completing a TMDL). The Plaintiffs contend that in two of the six challenged TMDLs, WVDEP announced that it was suspending further TMDL development for all “biologically” impaired streams across the State. This, they claim, amounts to a reviewable decision by USEPA to accept WVDEP’s representation that it would not prepare TMDLs for the over 500 streams on these two lists. The Sierra Club seeks an order compelling USEPA to prepare TMDLs for all of the streams on these two lists, many of which are outside the watersheds of the six TMDLs directly challenged. These other streams include many in the Coal, Gauley, Guyandotte and Tug Fork watersheds. Are the actions of USEPA reviewable? USEPA did not approve or disapprove a TMDL for ionic toxicity; it simply approved TMDLs that did not include loads for ionic toxicity. Are all of the streams at issue properly on a 303(d) list of impaired streams? Before a TMDL is required, states assess their waters to determine if they are meeting required “uses” and then undertake to identify pollutants responsible. This work is compiled in the so-called “303(d)” list (named for the section of the Clean Water Act requiring the list). During the TMDL development process for a particular watershed, however, WVDEP sometimes adopts loads for discharges to streams that were never on the underlying 303(d) list. This raises serious issues whether dischargers have received proper notice of the 303(d) listing. This appears to be the case for at least two of the TMDLs at issue in this case: the Upper Ohio South and the Dunkard Creek watersheds. In both cases, the complaint implies that streams were identified as impaired during the TMDL process rather than as part of the underlying 303(d) listing process. In both cases, the complaint notes that USEPA recommended that WVDEP propose those streams for listing on the 303(d) list before adopting a TMDL. Is there an obligation to impose TMDLs for conductivity at all? WVDEP has declined to impose “loads” on conductivity because it is not the actual cause of any biological impairment. Rather, it believes that any causal link exists only for one or more of the dissolved ions making up the measured conductivity, but it does not know which ones or in what concentrations they might be having adverse effects. USEPA seemingly accepted this rationale in approving TMDLs that did not include conductivity loads. Is the underlying 303(d) list of biologically impaired streams subject to challenge? 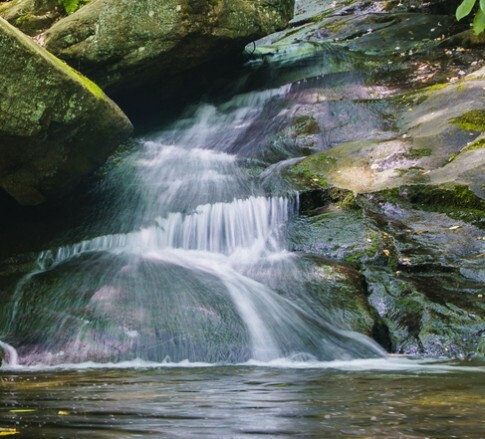 WVDEP and USEPA have relied exclusively on the “West Virginia Stream Condition Index” (“WVSCI”) to determine whether streams are supporting required “aquatic life” uses. The WVSCI is an index which measures the extent to which the types and proportions of aquatic insects in assessed streams vary from those in undisturbed “reference” streams. It does not look at fish or higher trophic levels of aquatic life. There are at least two issues with its use. First, the West Virginia Legislature has directed WVDEP to stop using aquatic insects alone as a measure of impairment. Second, the use of the WVSCI alone as the determinant of impairment is tantamount to treating the WVSCI as a water quality standard that must be approved by rulemaking; a process that the WVSCI has never undergone. The Kentucky case has been assigned to Judge Gregory F. VanTatenhove, and both of the West Virginia cases have been assigned to Judge Robert C. Chambers. This article was authored by Robert G. McLusky, Jackson Kelly PLLC. For more information on the author, click here.